Dividends. That’s what March was all about. There are few things that get me riled up like seeing a ton of dividend payments pour into my investment accounts, but this month might have overdone it a little bit. Like a small child counting the amount of presents under the Christmas tree every day until the 25th of December, I kept a close eye on my dividends. Let’s see why! Even though every month slowly brings me closer to financial freedom, it’s nice to experience a big boost forward from time to time. This month did just that with twelve companies awarding me a small piece of their profits. Dividend growth investing is no get rich quick scheme, but it should come as no surprise that receiving twelve extra sources of income on top of my regular salary starts to add up after a while. It’s clear from my last net worth increase that saving a large portion of your salary and putting those savings to work quickly grows your assets. Nevertheless, that’s just one side of the equation! Dividend growth investors try to take advantage of the power of compound interest in a myriad of ways, of which capital accumulation is just one. Another one, and in my opinion a far more powerful effect of dividend stocks, is building a sustainable and growing stream of dividends. Ultimately, that passive income stream overtakes your expenses, rendering you financially independent. That’s why I’m so excited to write these type of posts and show you guys how the income growth materialises over time. Twelve companies! That’s more than double the amount of dividend payments in February. It’s incredible to think that it has only been six months since I received my very first dividend ever from McDonald’s. Now eleven more companies are banging on my door with a small paycheck – let’s see who they are. A lot of health care and energy companies have been putting in the works this month. My recent acquisitions of Swiss Novartis (VTX:NOVN) and Hoffman-La Roche (VTX:ROG) are already paying dividends – literally. The other major source of income in March was oil, with Royal Dutch Shell (LON:RDSB), Total (EPA:FP), and BP (LON:BP) all paying a hefty quarterly dividend. What I really like about March’s dividend payments is how they all come from such different backgrounds. There’s health care and energy, as mentioned in the previous paragraph, but also insurance, technology, materials, and consumer goods. Because of the high dividend diversification, it’s unlikely that my March passive income stream ever dries up. Of course these dividends will be reinvested in other high-quality businesses, but it’s always fun to see how much of my monthly expenses they could have covered. In February my dividends covered my Google Play Music subscription and internet subscription, but this month we can add utilities expenses to the list. This is why I love dividends: €102.75 of real purchasing power instead of simply trying keep up with the stock market. 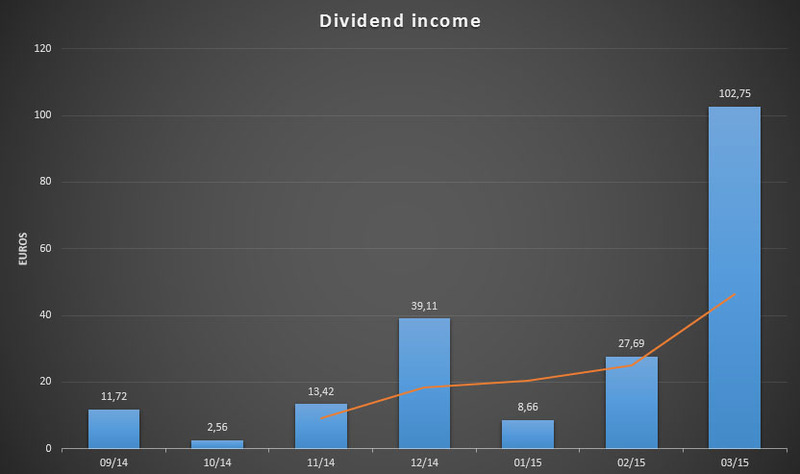 Because March marks the sixth month of dividend income, it’s finally appropriate to add a trending line to my dividend income graphs. With this month’s huge income the tail of the trend line points firmly upwards, but I’m also really glad that the overall curve follows the same direction. Even with slower months like last January progress continues to be staggering. Compared to one quarter ago I received almost three times as much dividends, 263% to be more precise. Even though my overall extra cash flow remains small, that’s staggering growth. March will probably always be one of the larger months of the year with many European companies finishing up their financial year and paying shareholders a piece of the profits, so it’s likely that June’s dividend income will be much lower again. Being the heavy hitter it is, March did exactly what I expected it to do, namely boost my progress towards my goal of €500 worth of dividends for 2015 by a significant amount. That’s why I’m currently sitting at a little over 27% of the €500 target. With one quarter of the year behind us already that means I’m right on track to crack my objective. Because January’s dividends pale in comparison to this month’s fresh and free-of-work income, I shouldn’t expect many payments in April, even though British distiller Diageo (LON:DGE) forwards the first part of its split dividend, for example. That doesn’t bother me one bit, however. Getting a dividend growth portfolio off the ground takes time after all. Besides, does it really matter when you receive your dividends as long as they continue to grow over time? To me it really doesn’t. That’s why I invested in two new European holdings that pay a dividend once every year. The first one is the German reinsurance giant Munich RE (ETR:MUV2), which currently enjoys strong tailwinds from the European Central Bank’s Quantitative Easing policy. My second addition also takes advantage of low interest rates, but in a completely different way. 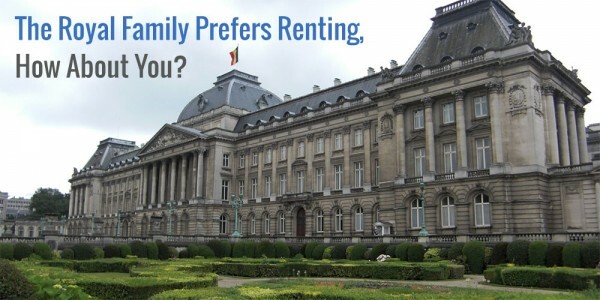 REIT Home Invest Belgium (EBR:HOMI) leverages low-interest debt to expand its housing portfolio and thus increase shareholder value for the long-run. With a high starting yield and a solid compound dividend growth rate, I’m sure that these companies will become cornerstones of my portfolio. Combined they already add over €75 to my forward dividend income, which is another major jump forward. Up, up and away! Thank you for reading and for your continued support. Without you readers this journey wouldn’t be nearly as fun as it is now. Sweet month man. I like those new companies, especially Munich RE (ETR) you posted on earlier. I don’t think I would chase it soon, but long term it looks nice. Congrats on really pushing up your overall dividends on the year. You will break €500 easy. Munich RE is an excellent addition to any dividend portfolio, I believe. Very solid and conservative business with a long-term growth plan. With my recent additions, I’m pretty sure I’ll break €500, but who knows what happens in the meantime. What a great month considering your first dividend was received only 6 months ago! You can already see the upward trend forming, critical mass is on its way! I too am just at the beginning of my dividend growth journey, but getting more excited as I read other bloggers and see the dividends slowly trickle in. By chance do you DRIP your dividends or will you take them as cash and choose which companies to reinvest in? Amazing, right? The growth compared to just six months ago baffled me too. Let’s hope things pick up evenmore speed from here on out! Because many European companies don’t offer DRIP, I reinvest my dividends manually. I like it more that way, actually, because I get to choose where my capital goes. That way I can always direct it at the best opportunities in the market, rather than adding potentially expensive shares. Another advantage is that I get to balance my portfolio a little easier. Like I told Dividend Oddysey, growth has been amazing. 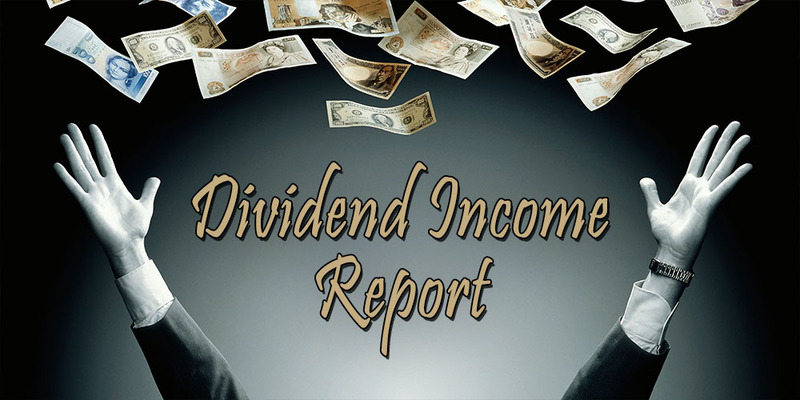 Sometimes I still can’t believe how fast dividend income is shooting up. The growth now mainly comes from adding fresh capital, but the individual positions are also slowly increasing their payments compared to last year. That’s a beautiful double whammy if nothing else! Looking forward to checking out your dividend income in a minute. Wow that’s a nice jump on your dividend income! Just shows how much progress you’re making and putting money aside each month to invest is paying off. Keep up the good work. You certainly had a nice month. We share about four companies on this list. However, those four in my portfolio–unlike yours–have contributed most of my total for the month. My March results are quite diversified but nothing like yours! In contrast, next month shoudl be very strong for me and more like you had this month: nicely spread across sectors! Very nice indeed! Keep up the good work! All beginnings are small, pal! But if you look at how far I’ve come in just half a year, you can already imagine the growth you’ll be experiencing over the next couple of months! I’m looking forward to read about your growing income. Let’s hope your April is as strong as my March. Awesome month NMW. Congratulations on this Great month! What a great feeling receiving these checks from those list of companies. I’m happy for you and wish you continued success and happiness. Take care of yourself and keep hustling hard. Much love. Tyler. Thank you very much! Your kind words mean a lot to me coming from such a seasoned investor. Love the look of that chart! Congrats on the dividend income and you are definitely well on your way to build a steady income stream. If that chart doesn’t scream “up, up and away”, I don’t know what does! Let’s hope I can keep the momentum going into the future. Awesome month – congrats!! Hopefully your results will encourage others to take up the FI torch. It’s great to see that you’re dead on target with your yearly goal too. I have JNJ, QCOM, BLT and MCD out of your paying stocks this month, just waiting on some accounts to settle before I post my results. Let’s hope so! Since getting started in July I’ve seen a lot of influx of new DGI and bloggers, which is great. My results and progression seem to be in line with everyone else’s performance, so I’m simply more proof that DGI is a great strategy. Looking forward to check out your results later on today. Now that’s a month on month increase! With that stonking month, you’re now right where you need to be for your annual goal. I wish you the best of luck with it! It looks like we have a few companies in common. Like you, I had my best ever month in March and April should see a drop off, but May and June should be big ones. Absolutely! One quarter down and over 25% of my annual goal achieved – right on track. May should also prove strong if I’m not mistaken. And of course, June, September and December will always remain staple months for me. The downside of European companies becomes a little bit clear here with their annual payment rather than quarterly payments, but all-in-all that’s not too big of an issue. Fantastic month, even after all the taxes! I also got a similar payout from RDSB, although due to a special dividend from Beazley, it was my second largest dividend receipt for March. Great job on your end too! The taxes are a bummer, but I don’t mind nor really care, as you well know. The weird thing about the Belgian tax system is that I’ll be able to reclaim most of them once I hit FI because I won’t have a regular paycheck anymore. Interesting remark, never really thought about that before. I read before that in certain cases you can reclaim tax on interest and dividends but this is usually written from the perspective of students or retired people. Any idea how this works specifically in the case when you can live off your dividends at lets say age 40? Sorry, your comment got a bit lost! I hope you still read this. When you don’t have any other income apart from dividends, you should be able to use the tax-free sum (belastingsvrije som) in your tax application to recover some of the withheld taxes on dividends. Pretty weird that the tax authorities allow this, right? Thanks for the link. Yeah it’s pretty weird but the tax code is so complicated that I assume this is probably an unintended consequence. Seems like it may have been designed as some sort of a social correction to supplement the income of retirees who have low pensions but also income from bonds or stocks. Passive income is truly awesome! Once you’ve put in the work you can sit back, relax, and watch the dividends roll in. That’s an awesome month for you NMW! Keep it up! May will be a huge month for me too. Wow, you’ve already broken the 100 Euro in a month milestone… That’s impressive, as it’s only your seventh month receiving dividends! I bet you’ll still get big payments in June, September and December, even though some companies only pay you in March. Plus, by that time you’ll have invested way more capital, so the 500 target is looking good! Excellent work, keep those dividends rolling in! It didn’t fully register until I read your comment, but this is indeed the first time I’ve broken the €100 mark! Weird how that wasn’t a goal of mine and it came naturally after a while. June, September and December are set to remain big months, even though Novartis and Roche, for example, only pay in March. Over the coming weeks I hope to add to my position in RDSB, which will boost income in those months once more. 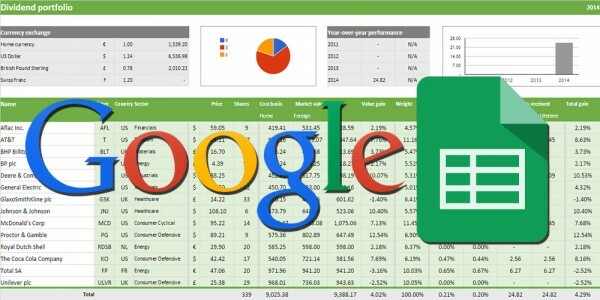 Good result, your portfolio is certainly getting some traction! A small question on the dividends. I also have Total in portfolio, for my 45 shares I received a net dividend of 14,12 Eur. You mentioned a 7,62 euro dividend for 20 shares. Your dividend is almost 20% higher. I bought my shares via Bolero on Euronext Paris. How could this be possible? Has an error been made? Thanks for the interesting blog, it keeps us all going! Did you notify Bolero that you wanted to enjoy the reduced foreign withholding tax of 15% instead of the normal rate of 35% in France? They’ll send you a form to fill out, notify the federal tax authority, then settle things automatically with the French authorities every year. When I received my very first Total dividends this process hadn’t finished yet, so Bolero had to apply the 35% rate instead of the reduced 15%. Maybe something similar happened to you? I also bought Total on Euronext Paris (EPA:FP). More than 100 euros? Not a bad March, NMW! Even more impressive is that chart–going nowhere but up from here. I think “not a bad month” is an understatement here! 😉 March was excellent and it’ll be a long time before I crack the €100 mark again (except maybe in May of this year). Up, up and away, right? 75 from just two companies. Might have to look into those guys. Sure they pay just once a year but that is a big boost to your overall income. Good work. The majority of those new dividends comes from 15 shares of HOMI. Belgian citizens enjoy a reduced 15% tax rate instead of the usual 25%, so the high yield remains high at around 3.5% if I’m not mistaken. I’m not sure the same applies for foreign investors. Munich RE is another story though, but I can’t stress enough how good of an investment this could be for many DGI. Your high savings rate is showing itself in the progress you’re making with the dividend income. It’s up, up, and away from here… or rather down the hill since you’re rolling a snowball. Let’s hope I can continue adding to my snowball and turn it into an avalanche before long! That is an awesome month! Congrats. Love the trend line, guess the only way is up going forward! 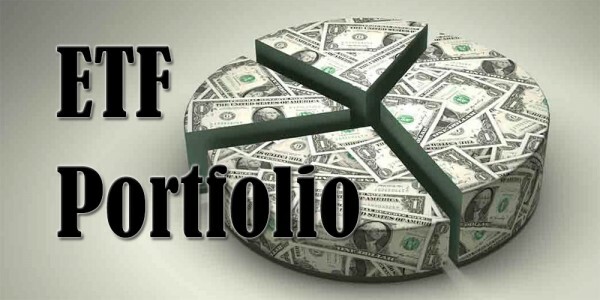 No dividend stocks for us just yet (we currently got mutual funds/ETF’s and real estate), but that will change as soon as we land in Europe again, when we plan to add a significant portion of dividend stocks to our portfolio. Your blog will be a great aid to get started, keep it up. The trend line firmly points upwards, which is exactly the way it should be headed. Let’s hope that never changes! Do you plan to convert your mutual funds or ETFs to dividend stocks, or will you just use new income to buy individual stocks? Killing it, Nmw! For perspective, it took me 18 months of dividends to cross that three digit territory! Look at you go man, very impressive! Ha, thank you! Much of this month’s growth came from annually paying stocks rather than quarterly ones, but it’s still a great threshold to cross. You’re not doing too shabby yourself lately. WIth the high amounts of cash you’ve been shoveling into the market the past few months you are bound to experience growth spurts during the coming months. Great job Waffles! It’s amazing to see how quickly you can make progress with DGI once you get focused on it. And the great thing about it is that there’s positive reinforcement with every dividend payment. Keep up the good work! Exactly! The positive reinforcement is what keeps my mind in the game and my actions focussed on the goal – building that passive income stream. Great month , congrats on the first time passing 100 euros, I’ve had also a great month(but still less then $100), keep the snowball rolling. Thank you! I’ve said it in previous comments, but I hadn’t actually noticed that I crossed €100 for the first time because it wasn’t an excplicit goal of mine. You won’t hear me complain though! Looking forward to read about your great month in a minute! Wow, the graph says it all man!!! An awesome time as you keep on progressing even higher each time. Keep it up!!! Thanks, man! Appreciate the encouraging comment! Wow…watching you do this each month is amazing. Congrats on the big come up. I wouldn’t be where I am right now without the support from people like you. The amount of information on our blogs and the encouraging and motivating posts we all write is what keeps me at it. It seems you had a great month. 100 + EUR in dividends is awesome. Hope you had a great month too, but I’m sure of that. Congrats on such a fantastic month! I remember your first dividend post and look how far you’ve come! You’re well on your way, cheers! Progress has been stellar indeed! Thank you for your support. How is the semi-retirement going over there? Great looking March dividend income. That chart you posted is headed in the right direction for sure. I can see a few names in common between our portfolios and that a lot of your income came from the energy sector. Cracking 100 Euro must be a nice feeling. Keep up the good work and look forward to your next update. I’m glad to hear that we have a couple of stocks in common as I believe you’re a very defensive and long-term growth oriented investor. You’re right that March is heavy in energy stocks. Even though only about 10% of my portfolio consists of energy those companies account for a large part of my dividend income due to their high yields. PS: your previous comment got stuck in the spam filter, thank you for noticing. FANTASTIC! I wish dividend growth investing moved a long quicker since I tend to lose focus from time to to time lol, but these posts put everything back into perspective. Congrats! With the current market highs progress might be quite a lot slower than during a downturn. That’s the “paradox” of dividend growth investing: higher prices make progress more difficult. I still feel that every small dividend payment provides a big boost to my confidence, motivation, and focus, so I hope these type of posts inspire you to keep going! Remember that this is a race for the long-haul. If you keep it up, your passive income is sure to overcome your expenses.